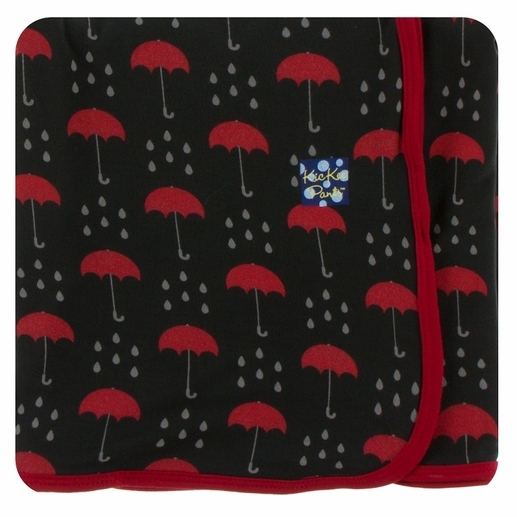 This Umbrellas and Rain Clouds swaddle is perfect for layering or used alone. Use as a swaddle or regular blanket and each one makes a great baby shower gift. Bamboo is perfect for children with sensitive skin and allergies. 95% bamboo, 5% spandex by Kickee Pants.